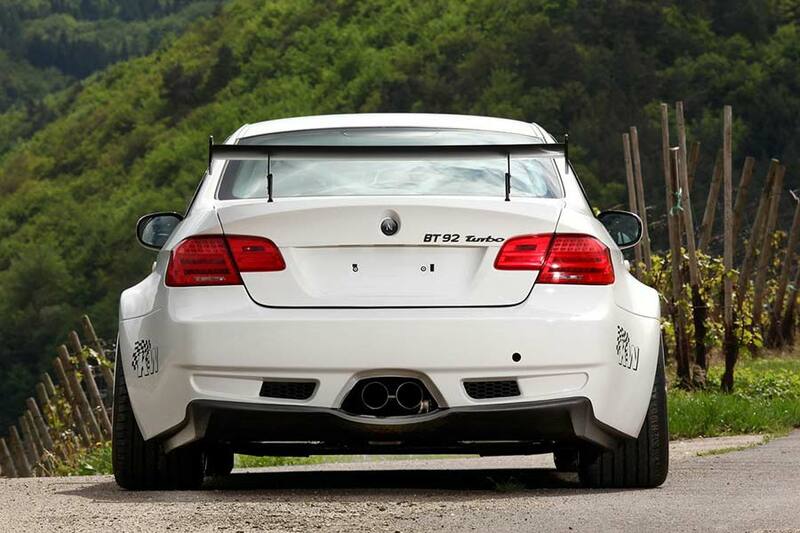 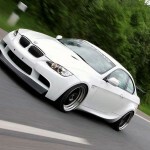 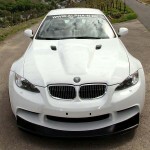 Motorsport and tuning specialist Alpha-N Performance has released its BT92 program for the E92 BMW 3 Series Coupe. 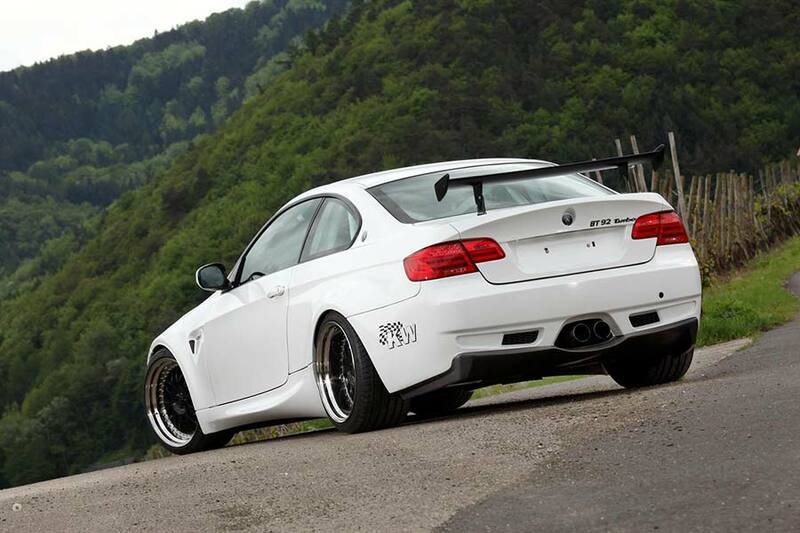 Visually, the car wears a carbon fibre body program, which shaves 250 kg from its weight, consisting of a replacement front bumper with lower spoiler, muscular hood, wider fenders and rear arch extensions, side skirts, a complete boot lid with M3 GTS-style wing and back bumper with integrated diffuser and aperture for the centrally-mounted exhaust system. 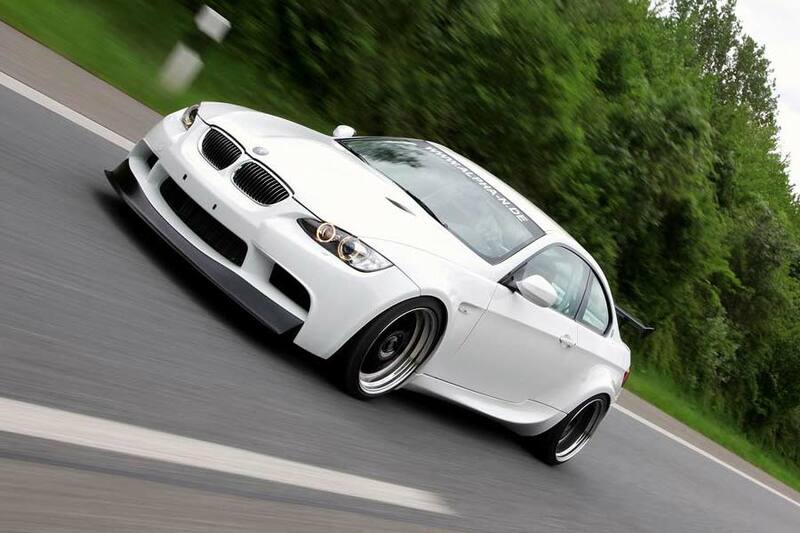 This particular car is based on the 335i Coupe and features the company’s Stage Four upgrade, which involves a remapped ECU, the fitment of a larger turbocharger, an uprated intercooler, pistons and crank. 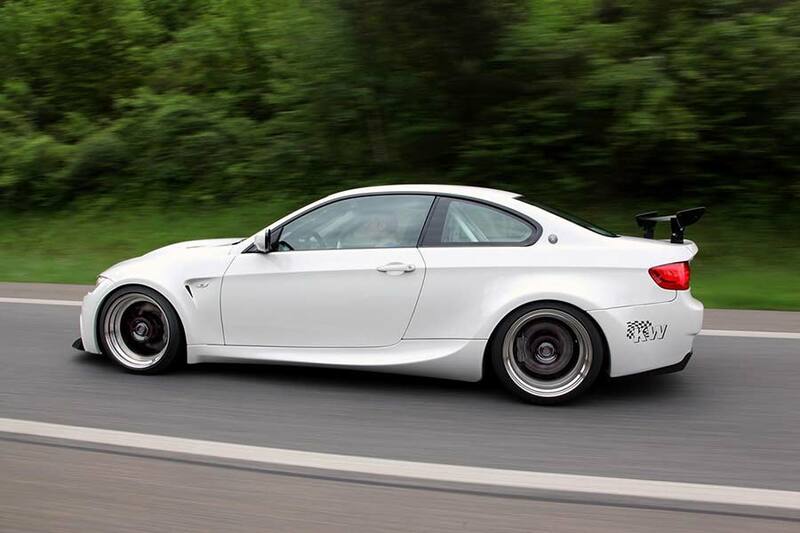 Those changes see output rise from 228 kW (306 hp) and 400 Nm of torque up to 336 kW (450 hp) and 580 Nm, meaning 100 km/h appears in just 4.0 seconds and top speed is 307 km/h (190 mph). 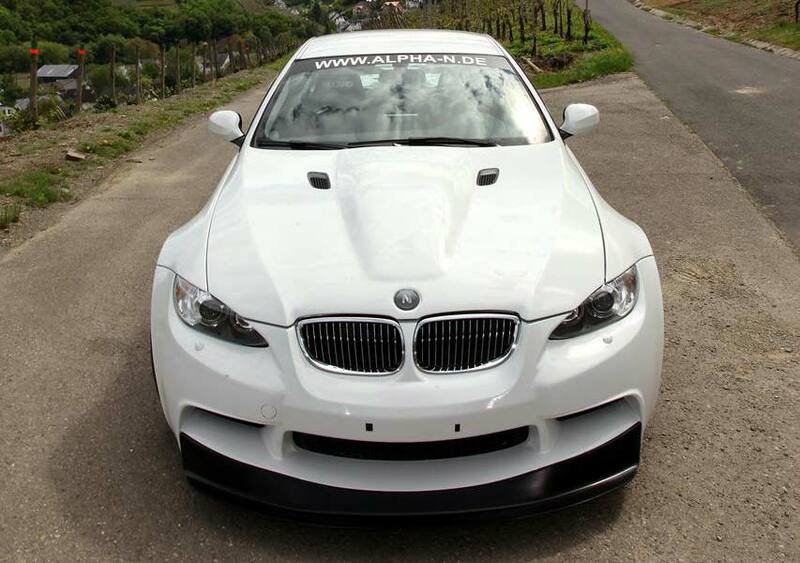 Scarily, Alpha-N can fit a V10 engine into your 3 Series, producing between 378 kW (507 hp) and 671 kW (900 hp). 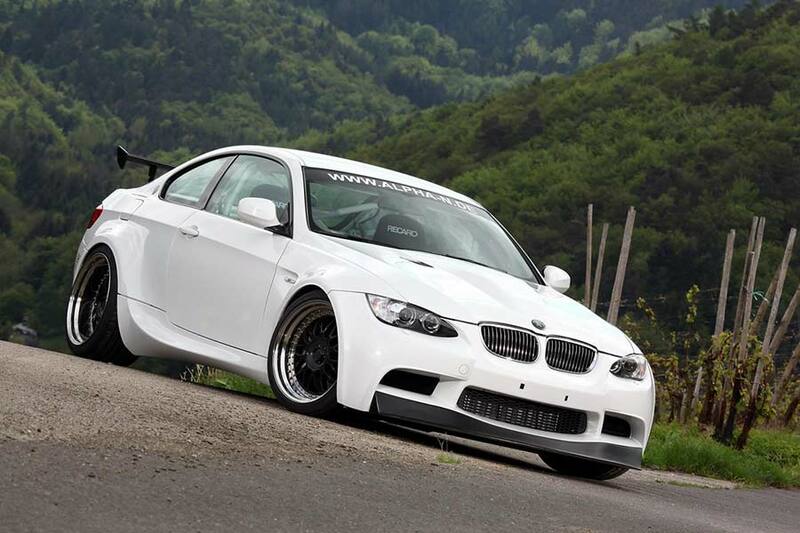 Chassis upgrades include a KW coilover suspension kit, a brake upgrade with 380 mm and 355 mm discs gripped by six- and four-piston calipers, and 19-inch three-piece alloy wheels wrapped in Hankook tyres. 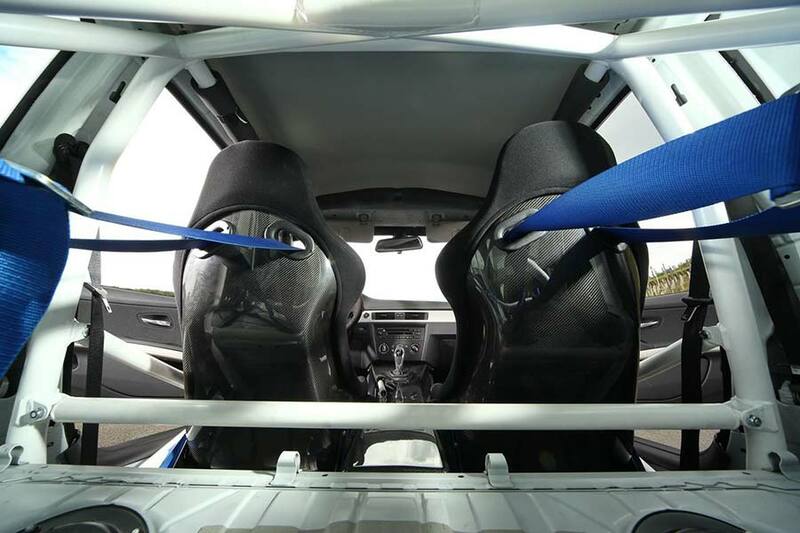 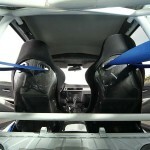 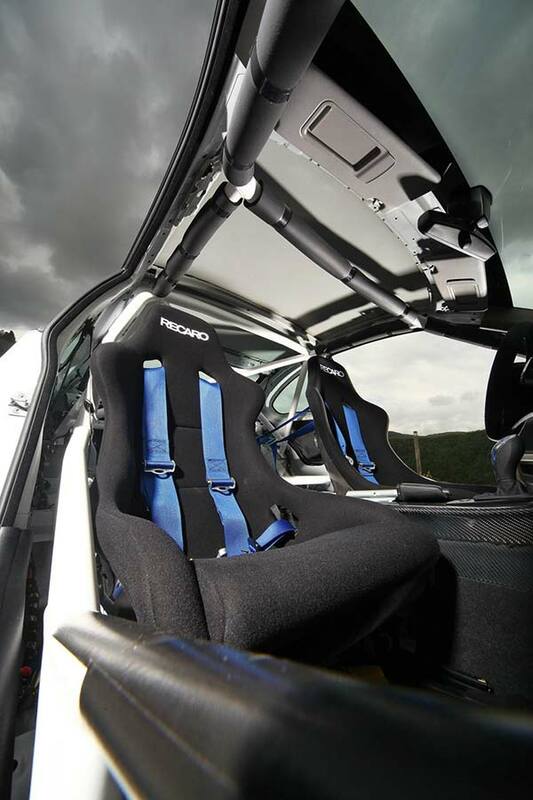 Inside the cabin, Alpha-N adds a pair of carbon fibre RECARO Pole Position seats, harnesses and a roll-cage.